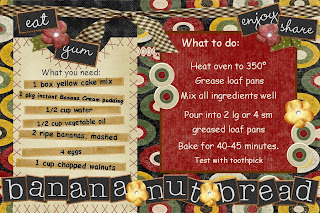 Awhile ago, hubby and I were on a search for the best Banana Nut Bread recipe. We tried many, to include a recipe hubby was able to get out of a little ole' lady we met in the grocery store. To this day, we have yet to find THE ONE. However, this one is holding us over for the time being. And by holding us over, I mean we've stopped searching. This is a recipe I found at Real Simple (long time ago) and changed the nut type to walnuts. FYI: I like this recipe best in muffin form, hubby prefers loaf form. Either works, just be sure you grease well. 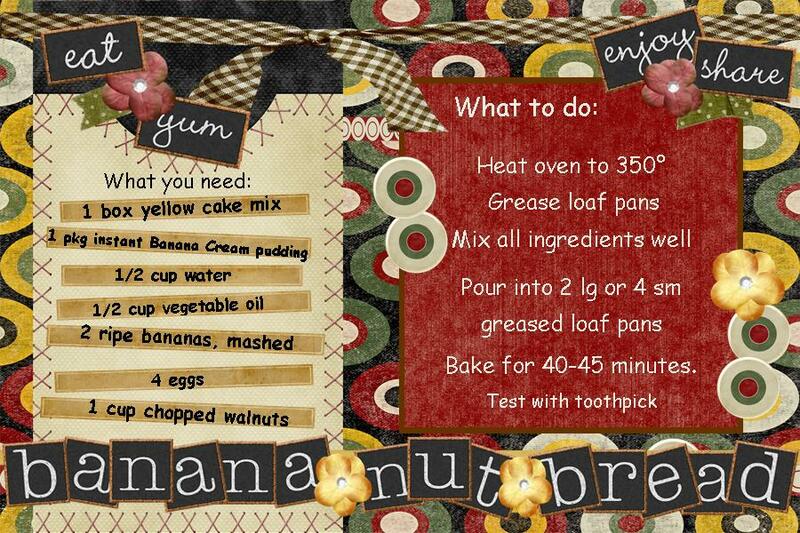 Go Here for printable recipe card. It's really a cool and helpful piece of information. I am satisfied that you just shared this helpful info with us. Please stay us informed like this. Thanks for sharing.